Dorothy Marie Howell, 89, of Coeur d’ Alene, Idaho passed away March 22, 2019 at Kootenai Health in Coeur d’ Alene. 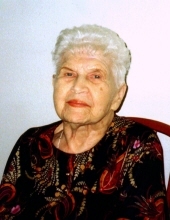 She was born on September 11, 1929 in Coeur d’ Alene to Melvin E. and Mary (Jacobson) Asplund. She grew up in Coeur d’ Alene and graduated from Coeur d’ Alene High School in 1947. In the spring of 1948, Dorothy moved to Kansas City, Missouri where she married Robert E. Howell. They moved to Moline, Illinois for seven years and then relocated to Culver City, California. Dorothy was a fulltime housewife with four children. In 1969 she helped her husband, Bob, establish the family business. Dorothy had many interests: crafts, cooking, and the love to travel. Upon Bob’s retirement in 1982, they sold the family business and home, moved into a 35 ft. fifth wheel trailer, and traveled the US and Canada for nine years. In 1991, they re-established a permanent home in Coeur d’ Alene. Dorothy attended the Church of the Nazarene in Coeur d’ Alene and enjoyed the fellowship of many wonderful friends. Dorothy was preceded in death by her parents; her husband, Bob; son, Ronald; and brother, Donald Asplund. She is survived by son, Gail of Leon, Iowa; son, Roger of North Hills, California; daughter, Julie Salazar of Coeur d’ Alene; daughter, Laurie Wilson of North Carolina; sisters, Frances Goff of Coeur d’ Alene and Carole Wilson of Covina, California; four grandchildren; four great grandchildren; and many nieces and nephews. Donations may be made in Dorothy’s name to the Kootenai Health Cancer Center, c/o Kootenai Health Foundation, 2271 Ironwood Center Drive, Coeur d’ Alene, ID 83814, www.kootenaihealthfoundation.org; or the Sacred Heart Children’s Hospital, 101 W. 8th Ave., Spokane, WA 99204. A memorial service is planned for 2:30 PM on Wednesday, April 10, 2019 at the Pacifica Courtyard, 2100 E. Sherman Ave., House #3 (by the back patio), Coeur d' Alene, ID 83814. To send flowers or a remembrance gift to the family of Dorothy Marie Howell, please visit our Tribute Store. "Email Address" would like to share the life celebration of Dorothy Marie Howell. Click on the "link" to go to share a favorite memory or leave a condolence message for the family.